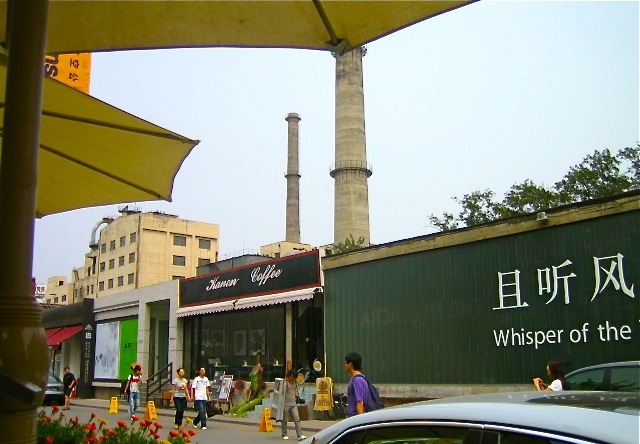 Most of us know the 798 Dashanzi art district in Beijing – once hosting a thriving awakening art scene, now being a still interesting but far more commercial place. And then there´s of course Beijing´s Caochangdi quarter, rougher and less accessible as 798. My personal favourite there being the Three Shadows Photography Art Centre run by RongRong & inri. One of the most important and artistically significant spaces is Songzhuang Town near Beijing, a real community and artist village. Art Radar Asia has taken a look at some further art districts – the most prominent being the city of Chengdu with its New Century City Art Centre (work in progress) designed by Zaha Hadid Architects, comprising of three auditoria, an art museum, an exhibition centre, a conference centre, shops, and a 30,000 square-metre space for contemporary art. Another example is Datong´s (Shanxi Province) New City cultural plaza with its Museum of the 21st Century, designed by London-based Foster + Partners. Of course there are many more spaces, especially cutting-edge museum buildings or gallery spaces, some of them are being featured at xinhuanet – but most of them are no quarters or communities. It is obvious that China has the willing and the capacity to enable cutting-edge architecture within almost no time, so the “hardware” (so to say) is guaranteed. One of the most important points concerning a potential sustainable development in this field will be the ability to ensure and provide alongside expertise and know-how, i.e. art historians, curators, develop collections or cooperation, select relevant exhibition pieces etc. – the necessary “software” to run these spaces and entrench them within the art landscape. 43,000 more museums (previous blog post). Boooom Museums (previous blog post). New City Art Centre Images (arch20 blog). Top Ten Art Places (art radar asia).